The object of the Council is to assist the Minister in improving all aspects of the post-secondary education sector, including improving the quality of education provided in the sector, access to post-secondary education and accountability of post-secondary educational institutions. 2005, c. 28, Sched. G, s. 5. (d) to do such other things as may be prescribed by regulation. 2005, c. 28, Sched. G, s. 6. Isn’t that nice? Lots of great words are used: improvement, quality, collaboration, encouragement, targets and research. Terrific stuff. Very objective. Very unspecific. Isn’t it interesting how dissimilar these two descriptions of this organization are? HEQCO’s version is much more specific and subjective in its content. And why are these differences of interest? Because HEQCO is the stipulated go-between for Ontario’s universities on the matter of free expression. The news release also stipulates further research into the matter of free speech and various accountability requirements. The second release is the obligatory catch-phrase-driven, politician-quoting document prepared to prove the politicians were involved somehow. As such, it contains extraordinarily little substance. Naturally, it isn’t really worth more than a wink and a nod. Except for musings about what it all might mean. When comparing HEQCO’s founding Act to their website material it can be seen that legal documents and publicity material can differ significantly on matters of substance. In real world matters. Well self-governance is always popular with professionals, so we can be sure they’ll do a bang-up job. And if any of the institutions should fail to produce a decent reply, well, it would be reasonable assumption that HEQCO has some expertiese on the subject and a boiler-plate ready to go. Learning Outcomes: Are Ontario students graduating with the knowledge and skills they need to succeed in life and work? and System Design: How can Ontario provide a high-quality postsecondary education in a period of continued growth and diminishing resources? Even more tellingly, HEQCO’s website hasn’t published a news release since December 2017, it’s 2017-2020 business plan says nothing about freedom of expression in its values…or anywhere else. In fact, typing “freedom of speech”, “freedom of expression” and “freedom of thought” on the organization’s website renders essentially nothing. This is not the picture of an organization that is “ready to go” on the subject of freedom of speech. What is the penalty if the institutions don’t comply? Funding cuts. Ah, well now we KNOW the administrators will generate the requisite documents. No administrator ever failed to submit a document when dollars were on the table (and kept their job). It remains to be seen if all the duly diligent post-secondary administrators will do anything other than submit generic and legalistic documents which say what they’re required to say but describe nothing of what actually happens. And here is where it lies. All of this effort is a demonstration of values. 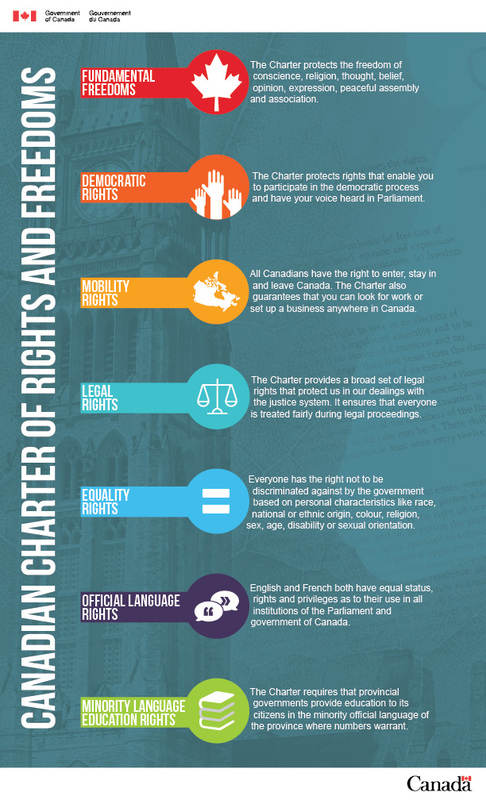 The Charter of Rights and Freedoms states that the freedoms of thought and of expression are fundamental. Everything else in our society is supposed to stem from the fundamentals. Ontario’s post-secondary institutions have not instilled confidence in the public or in the legislators that they are committed to fundamentals. So we threaten to take away some of their money.